After 24 or 41 days of the 500-calorie diet (including a full three days in which hA2cg Evolution drops have been discontinued), you enter the Maintenance Phase. This phase is absolutely critical! If it is not done correctly you risk regaining the weight lost during the VLCD Phase! First, you must measure your weight carefully and consistently--preferably in the morning, without clothing, after having emptied your bladder and before eating or drinking anything. Your weight will fluctuate slightly during this period. As long as it remains within two pounds of the weight reached at the end of the diet phase you do not need to do anything. If, however you gain more than two pounds you must, on the same day, entirely skip breakfast and lunch (but be certain to drink plenty of water). 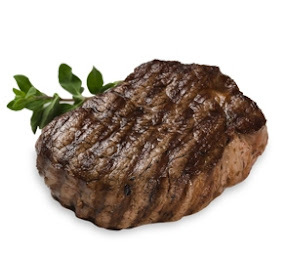 For dinner eat a large steak and a single apple or tomato--nothing more. Fruits are generally acceptable, with the exception of bananas, guava, kiwi and mango, which have high starch content. Proteins such as eggs and non-processed meats do not contain significant amounts of starch or refined sugar, and are acceptable during the maintenance phase. You will be surprised to discover during the maintenance phase that your appetite has significantly diminished. Most patients have no desire to overeat and will not see an increase of more that two pounds during the maintenance phase. The Evolution Weight-Management Kit includes all the homeopathic and nutritional formulas necessary for your patient to complete the 23-Day Diet Option of the Evolution Weight- Management Lean-Body (500-Calorie) Protocol. OptimaLean is a great-tasting powdered beverage formula designed to promote weight-management and healthy metabolic activity with a multivitamin and mineral blend that includes bioactive forms of essential micronutrients.